Dinosaurs might not really exist anymore, but it doesn't mean their relatives don't. Yes, it's true - cute, chirpy birds bouncing around in parks and backyards across the nation are related to giant, ferocious dinosaurs of the past. To be fair, it’s not accurate to say all of the dinosaurs who dominated our planet for millions of years evolved into birds. Many dinosaurs died off through natural means, with the vast majority going completely extinct when a giant asteroid struck the Earth around 66 million years ago. So, how are birds and dinosaurs connected, exactly? Some smaller dinosaurs from the theropod suborder - which Tyrannosaurus and Velociraptor are also classified under - survived the dark days of the planet. And some of this theropod subset, with their proto-avian characteristics, eventually led to the evolution of birds. These modern dinosaur relatives might seem relatively boring and harmless, but once you realize all the things these two have in common, it might destroy some of the myths you've always believed about dinosaurs. We should probably address the crocodile in the room: the obvious similarities between dinosaurs and reptiles. 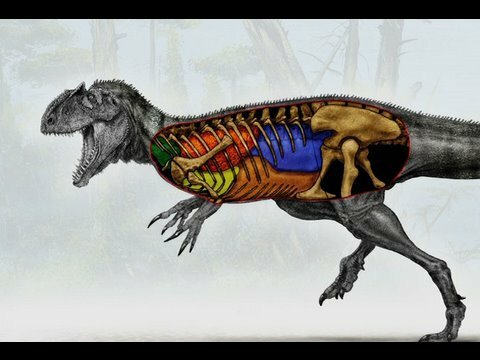 Paleontologists’ understanding of dinosaurs has advanced considerably in recent decades, while our mental images of the ancient creatures have largely remained the same. This has everything to do with the lack of peer-reviewed scientific papers crossing the public’s desk, combined with inaccurate depictions of dinosaurs in movies and TV. There are also general and technical misunderstandings about what a reptile is and is not. For example, a turtle is considered a reptile, while a frog is classified as an amphibian. Not dissimilarly, a lizard (reptile) and a salamander (amphibian) do not share a common recent ancestor, despite having a host of superficial commonalities. 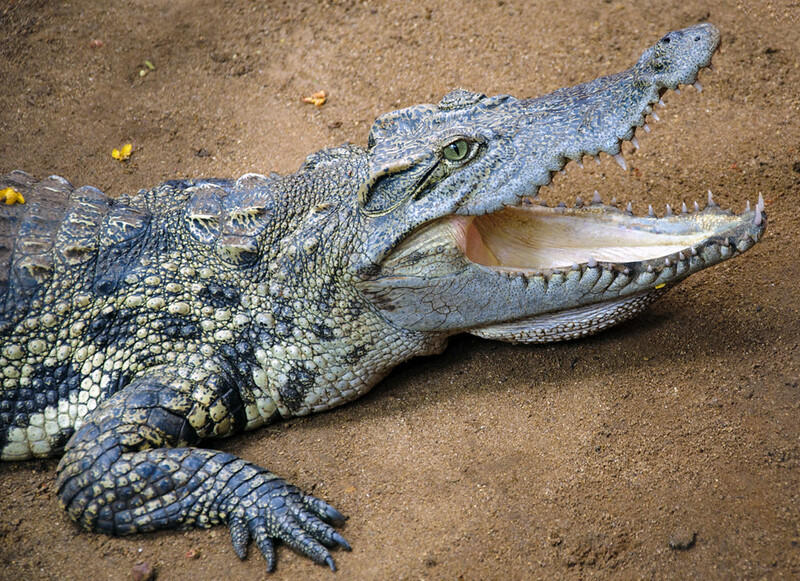 Furthermore, crocodiles are more closely related to birds than they are to snakes. If you’re sufficiently confused, you’re not alone. In fact, to avoid further befuddlement among the general public and academics alike, some have called for the complete removal of the word "reptile" from our classification system. Contrary to pervasive imagery, not all dinosaurs were gray and scaly. Some were clad in feathers - many likely showcasing colored plumages. This theory has been confirmed by a variety of dinosaur fossils found inlaid with feather impressions. Most of these fossils are from the theropod suborder - a bipedal dinosaur, which included some of the Jurassic’s largest and most ferocious carnivorous. The first, and most famous feathered fossil, Archaeopteryx, is considered to be a transitional animal between dinosaurs and modern-day birds. At approximately a foot and a half in length, Archaeopteryx lived in the Jurassic period, donned advanced feathers, and likely had the ability to fly. Since its discovery in 1861, many more fossils from other kinds of dinosaurs have been found, showing that feathers were not rare among dinosaurs. While feathers were one of the characteristics that eventually led to flight, it’s thought they first evolved as a way for dinosaurs to stay warm and/or attract mates. The non-avian introduction makes sense because many large and flightless dinosaurs, like the mighty Tyrannosaurus, also wore feathers. Feathers are important for flight, but without wings, the dinosaurs would have stayed terrestrial animals. It’s believed theropod adaptations, including flexible scapulas and rotating wrists, helped pave the way for the development of wings. Picturing these early proto-wings, combined with a theropod’s plumage, it’s easy to imagine how these speedy animals could have used simple gliding and coasting to out-compete those in and out of their species before true flight was even possible. Dinosaur fossils showcasing hollow bones are not new. However, evidence pointing to their exact role and connection to modern-day birds is continually being revealed. Hollow bones are one of the characteristics that make birds capable of flight. But this lightweight feature also helps birds to breath more efficiently. While humans and other mammals have diaphragms that allow their lungs to change in volume, birds (and their theropod ancestors) use bones along their rib cage called uncinate processes to help pump air in and out of their lungs. This respiratory distinction is thought to have made predatory theropods fast on their feet, and has given birds a conservation measure during the costly energy expenditure of flight.